In terms of the camera, the iPhone XS represents a fairly small upgrade from its predecessor. That being said, Apple has removed the iPhone X from sale – so if you’re looking to upgrade from one of the older phones, this is the model you’ll end up with regardless. Image quality is fantastic – just as we’ve come to expect from Apple – but it still hasn’t managed to surpass what you can hope to achieve from the Huawei P20 Pro, and quite likely the Mate 20 Pro (a review of that is in the works). We also continue to be a little disappointed at the native iPhone camera app. Little has changed from the very first iPhone in terms of usability, with most Android phones offering much more flexibility. While this makes it very simple for anybody to use, regardless of ability, it’s hard to recommend an iPhone to somebody who is seriously into their photography. A “pro” mode that you could ignore if you didn’t want to use it would seem to be an obvious solution. There are third-party apps which are free or low-cost to buy to give you more control over various settings, but not being able to launch those directly from the lock screen is a little off-putting. Still, there will be plenty of people who are so keen to stick within the Apple or iOS ecosystem, that this is a sacrifice they’re willing to make. Portrait Mode continues to be impressive – but mainly for human like subjects. That being said, it’s something that most of the premium smartphones on the market are also offering, so is no longer overly special. As is pretty much always the case, the iPhone XS is a very expensive proposition. The model we’ve been using, the 64GB version, will set you back £999 (sim free). As 64GB is a relatively low amount of storage space these days – and you can’t expand it – you may feel you need to spend £1,149 for the 256GB version. 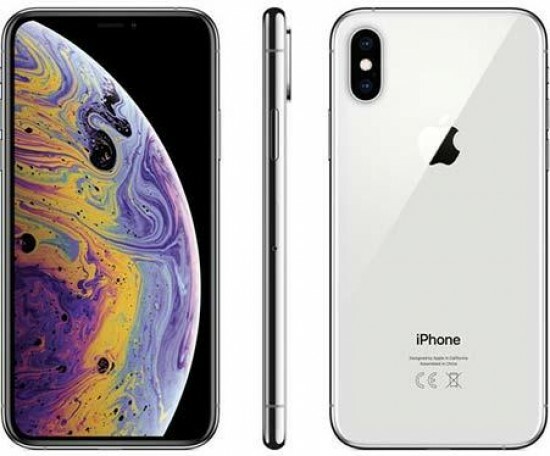 It’s more expensive than other similarly specced phones on the market, such as the Huawei P20 Pro (£799 for 128GB model) or the Samsung Galaxy Note 9 (£899 for 128GB model), so you really pay a premium to own an Apple product. Time was that the iPhone was the default model for photographers looking for a very capable smartphone – these days however, it seems like the crown has been passed to Huawei (or possibly Google), with Samsung and Apple playing catch up. If you like iPhones for iOS you’ll be extremely pleased with what the camera can produce – as it’s still very, very good – but it’s no longer the no.1 recommendation for those whose main concern is the quality of the camera.